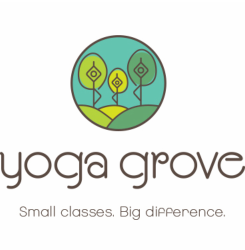 Publications - Yoga Grove - Small classes. Big difference. Article copied here from copies in our studio. Published in March 2017 and available in all major newsstands and yoga studios across Ontario. Although there's something to be said for the energy of a large yoga class, being one among 20 or 30 participants, most people find something sorely lacking in the big studio classes that abound in Toronto - particularly for those new to yoga, or those dealing with pain or other conditions. Many people find they aren't sure whether they are doing poses correctly, are concerned about causing strain or injury, or feel that they are learning from those around them more than from the teacher. Others find that the environment is not as relaxing as they had hoped because the classes are overcrowded, and they are attempting to do poses they aren't sure they are ready for. This is precisely what Leslie Buback, owner of Yoga Grove in Toronto, wished to address when she founded her studio four years ago. "Yoga was originally taught one on one, master and student, in a very personalized way. The yoga teacher knew the student, his/her history, limitations, and goals. This allowed the teacher not only to customize their teaching to their students' level and interests, but also to truly inspire and motivate them along the way. At Yoga Grove, all classes are kept small, with no more than six in a class, so that the essence of this special relationship is preserved. Students love it! As one put it: "Amazing! Classes are small and the instructor is very attentive, ensuring that I was properly doing each pose and getting the maximum out of the class. One of the best classes and yoga studios I have been to!" ​But it's not enough to simply have small classes. The quality of instruction is key. 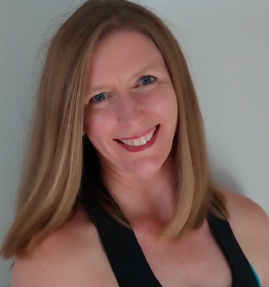 Leslie has practiced yoga for over 24 years and has studied under many yoga masters, including Richard Freeman, David Williams, Judith Hanson Laster, Diane Bruni and Ron Reid. She has been a certified teacher for nearly ten years, and has taught over 5000 hours of personalized yoga classes in the last four. She also has taken additional training in Restorative, Seniors, Kids, Flow and Prenatal Yoga, and has studied Yoga Philosophy extensively. ​But her teaching qualifications are only part of the story. Leslie's previous career was as a programmer and manager at IBM. Highly driven and very successful, she worked long hours and travelled around the world. She also suffered from repetitive strain injuries and the ramifications of many years of high stress and 60+ hour work weeks. Yoga was integral to her physical and mental health, and meditation was her refuge. She stayed at IBM until she had her first child, when stress was brought to a near-breaking level: Leslie suffered from severe postpartum anxiety, possibly psychosis, for some time. These were dark days, and it wasn't until she began teaching restorative yoga that she finally realized a significant benefit of having gone through all of that, besides having brought a beautiful child into the world. Leslie found that she was able, because of these challenges, to truly empathize and actually know what many people who come to her classes are going through. Regardless of the actual situations, many people are suffering from chronically high stress levels resulting in stiffness, pain, illness or disease. Others are suffering mentally or emotionally, just strung out or barely able to cope. "After what I've gone through, and after helping so many people, I KNOW yoga can help. My job is to understand where each student is at, and then to teach them how yoga can, with gentle and persistent practice, help them feel better in their bodies and with themselves, no matter where they start from." As Yoga Grove has expanded, Leslie has searched out exceptional instructors to join her team. They have all worked at some of the best yoga studios in Toronto, and many have studied at Yoga Therapy Toronto. To teach small classes with the level of quality of instruction and personalized attention Yoga Grove offers, it is imperative that the instructors are very experienced, knowledgeable, passionate and engaging. ​This combination of small class size and expert, passionate instruction is really making a difference to students. "I have been practicing yoga for 10 years and have seen more progress in my practice in less than a year than I have in the other 10 years combined. I live in East Scarborough and drive at least once a week to class. I have never met a yoga teacher quite like Leslie. Her classes are well worth the drive across the city!" Those new to yoga are particularly drawn to Yoga Grove. Leslie teaches all the Absolute Beginner classes herself. The core of this offering is teaching how to do any pose safely and properly. Even many experienced students haven't been taught what to feel in a yoga pose and how to use the breath to bring the pose to life. In most fitness activities, people have the idea that they need to push to get th most out of it, that there is 'no pain, no gain' . Yoga, in complete contrast, provides the most benefit when it is done with no strain whatsoever, involving gentle mindful stretching with deep breathing to, in a way, massage away tension from the inside out. "I am extremely passionate about teaching beginners as I know that I will invariably have them hooked on yoga. They look back on the first class and wonder how it is they felt so good when they have ostensibly simply learned to breathe, lie down, sit, stand and move. But they've FELT it, how yoga can make them feel. And, what's more, I have convinced them that even they can do it, wherever they are at". Small classes allow the instructor to really get to know each student, enabling them to tailor the poses, the level of challenge, the sequencing, to the people in the class to ensure everyone gets the most out of it. This is highly valued by students, and fosters a real loyalty to Yoga Grove's classes and instructors. When it comes to restorative yoga, Leslie has found that this is even more important. When she was training in restorative yoga, they learned how to set up poses in 'an ideal world'., where there were unlimited props and the ability to customize the pose for each person.But then, because of the size and limitations of most studio classes, they were taught what could be done with less. Leslie quickly decided that she would keep her classes small and provide ample props and full customization. What's she's found is that restorative yoga, done in this way, is extremely powerful. It has been transformative for so many people - from those dealing with stress, to those dealing with issues such as cancer, PTSD, fibromyalgia, Parkinson's , and more. For these students, Yoga Grove's restorative classes have been an integral part of their healing process and of taking their long health into their own hands. Yoga Grove offers many styles of yoga to choose from, for all ages and levels of ability. Beyond Absolute Beginner and Restorative, there's also Flow, Hatha, Prenatal, Ashtanga, Yin, Kids, Teen and Family Yoga. Yoga Grove also hosts retreats several times a year at top-rated destinations. The studio is currently located in Toronto's Bloor West Village, and was awarded the 2016 Platinum Award for Best Studio in Bloor West.